2017 was really the 'year of long weekends' with more than five when the year started. Althoug h we have the same public holidays this year, 2018 doesn't have as many days off, since most holidays will fall on weekends. This one is almost definite as Arafat Day is expected to fall on a Tuesday. Arafat Day will then be followed by Eid Al Adha the next day (Wednesday and Thursday). This could mean that we get a 5-day weekend or at least a 4-day weekend if you work on Saturdays. The dates may change depending on moon-sightings; however, even if the dates change by a day, you are still set to get a short work-week. This year Commemoration Day falls on a Friday, November 30, however, there is still a long weekend to look forward to. In 2015, the day was declared by His Highness Shaikh Khalifa Bin Zayed Al Nahyan, President of the UAE, as a day to honour Emiratis who have died fighting for and defending their country. 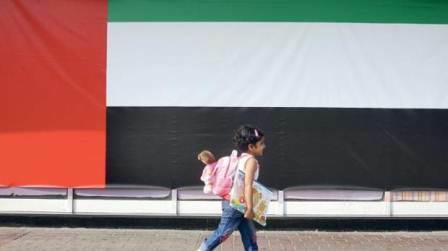 The UAE’s National Day will be celebrated on Sunday, December 2 this year. While the UAE was never part of the British Empire, it was a British Protectorate. This protectorate treaty was withdrawn on December 1, 1971, paving the way for the federal unification of the emirates. Abu Dhabi, Dubai, Sharjah, Ajman, Umm Al Quwain, and Fujairah made up the original UAE, with Ras Al Khaimah joining in a year later in 1972. 2018 will mark the UAE’s 47th birthday. Once again, this year the Commemoration Day falls on a Friday (no holiday there), but you would get UAE National Day (December 2 - Sunday) off.